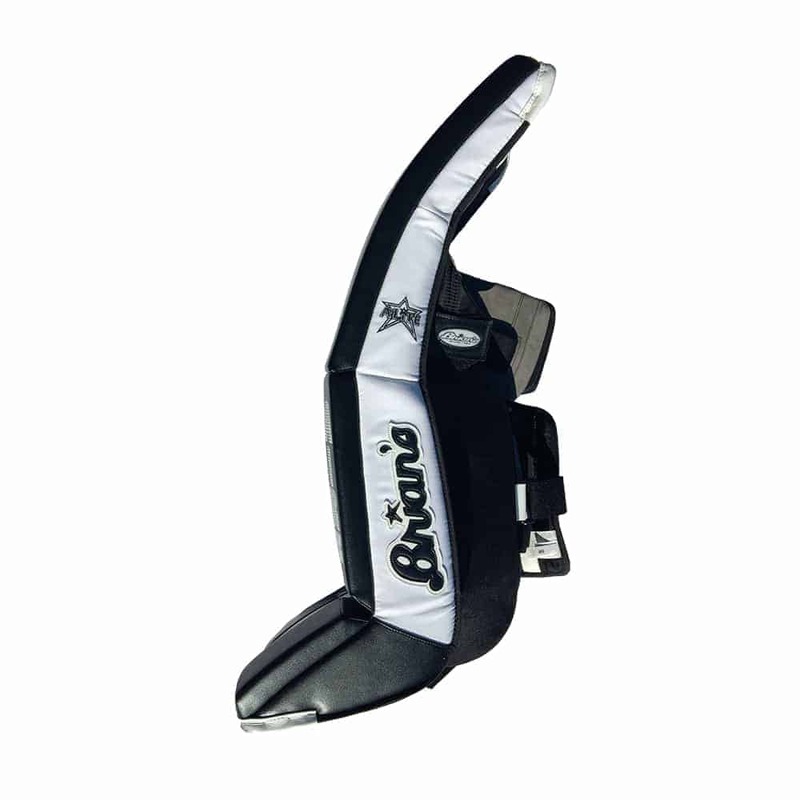 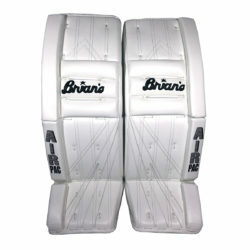 The Brian’s Alite Senior Goalie Leg Pads are a high mid level pad. 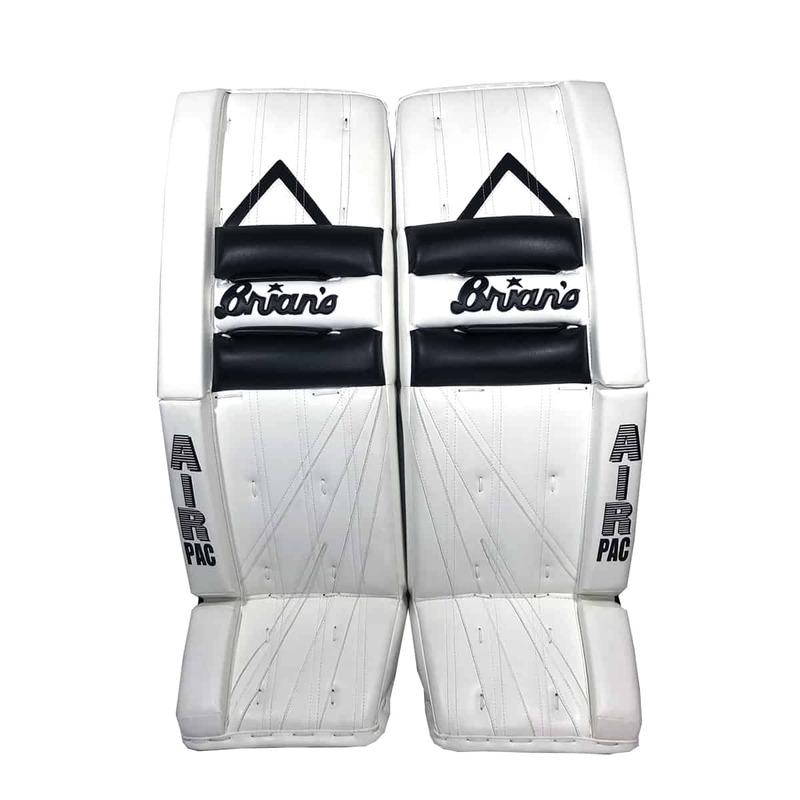 Recommended 3 to 5 uses per week. 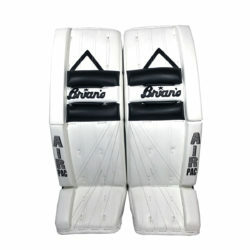 Now available at Goalies Plus is the Brian’s Alite series of goalie pads. 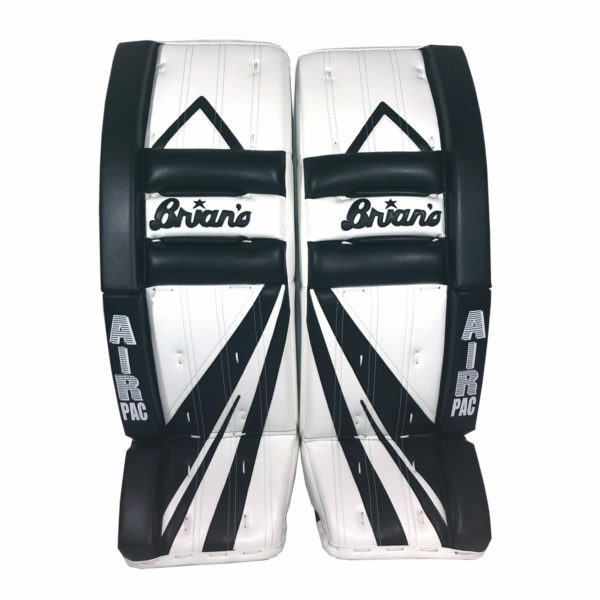 This pad is the mid-level (semi-pro) version of the Brian’s Heritage series. With the Heritage and Alite series, Brian’s has brought back the traditional hybrid style leg pad with knee rolls and extra flexibility. 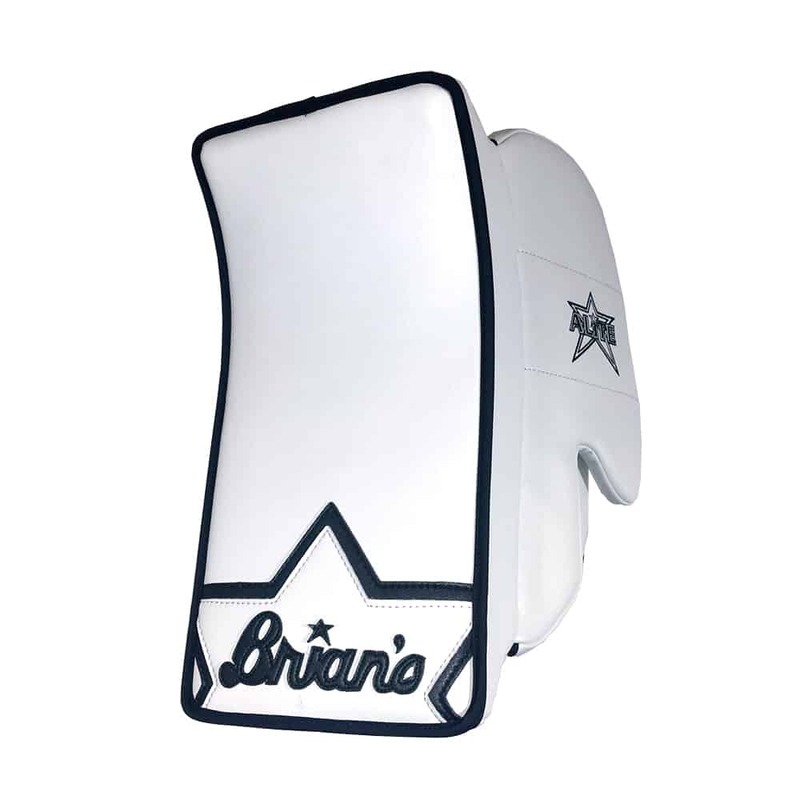 In recent years, most manufactures including Brian’s have gotten away from pads with knee rolls on the face, leaving very few choices for the goalie that prefers this style pad. At Goalies Plus, it would be safe to say that 75% of customers that we come in contact with need the extra flexibility for one reason or another. 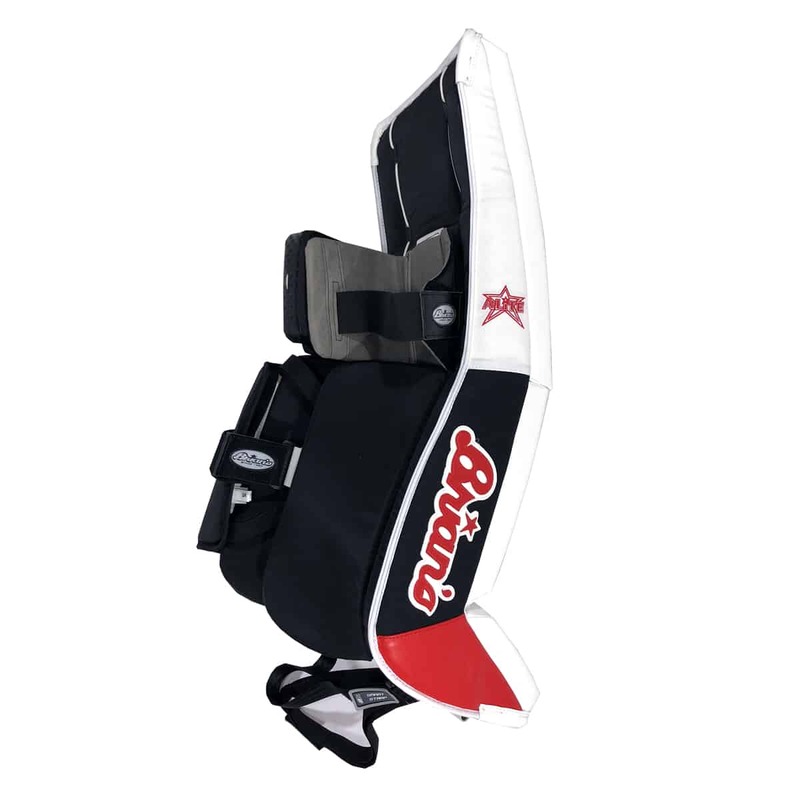 There are some flat face pads that play like a hybrid style pad but you will not find a knee roll pad play like a butterfly style pad. With the Alite goalie pads, the amount of flexibility and particularly lateral flexibility (the amount of flex in the twisting of the pad) allows for a much greater amount of movement compared to a stiffer flat face pad. 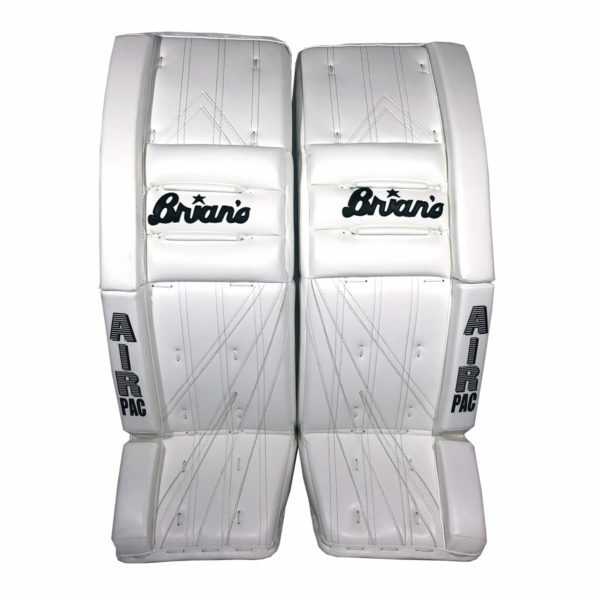 Another great feature of the Alite pad is the pre-molded s shape of the pad. 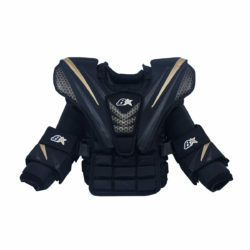 The natural pre-bend that this product comes with virtually makes the butterfly five hole coverage completely dummy proof. 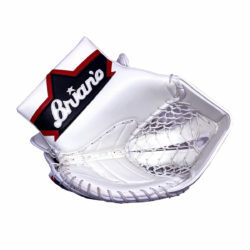 From day one, when the goalie goes down in the butterfly technique, the pads will completely seal the five hole with no effort from the goalie (other then performing proper technique). 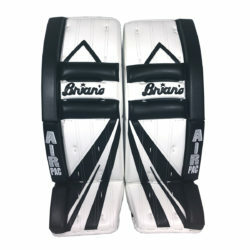 The Alite uses the Brian’s smart strap system which uses a elastic/velcro strapping system rather then leather straps. 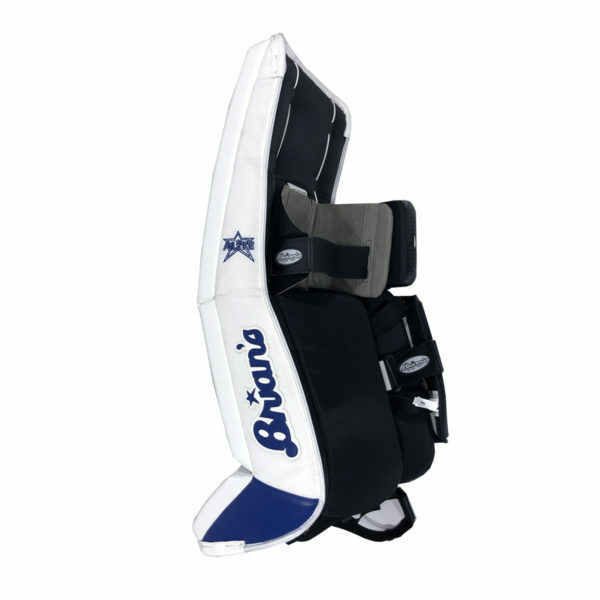 This does two great things: One – you can get in and out of the pads in seconds, Two – it allows the pad to be worn tighter on the goalies leg and when going into the butterfly technique, the elastic naturally expands and allows the pad to rotate perfectly. If you were using traditional leather straps that are pulled tightly to the goalies leg, the pad cannot rotate properly and the butterfly technique is nearly impossible. 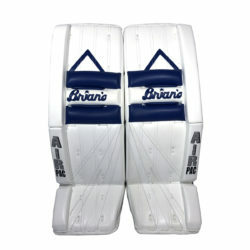 There are many schools of thought regarding mid-Level goalie leg pads vs. pro level goalie leg pads. 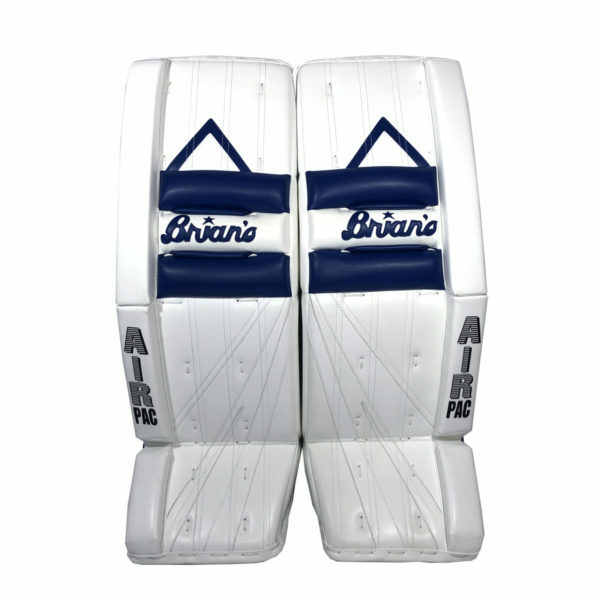 One glaring difference: pro goalie leg pads are usually domestically made while mid-level goalie pads are produced off-shore. There are however a few companies that now make their pro leg pads off-shore as well. When looking at a mid-level goal pad vs. a pro level goal pad side by side, it can be very difficult to know the difference – even to a trained eye. 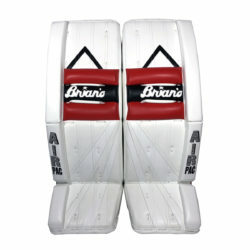 There generally are quality differences in the foams and synthetic leathers along with small differences in features. 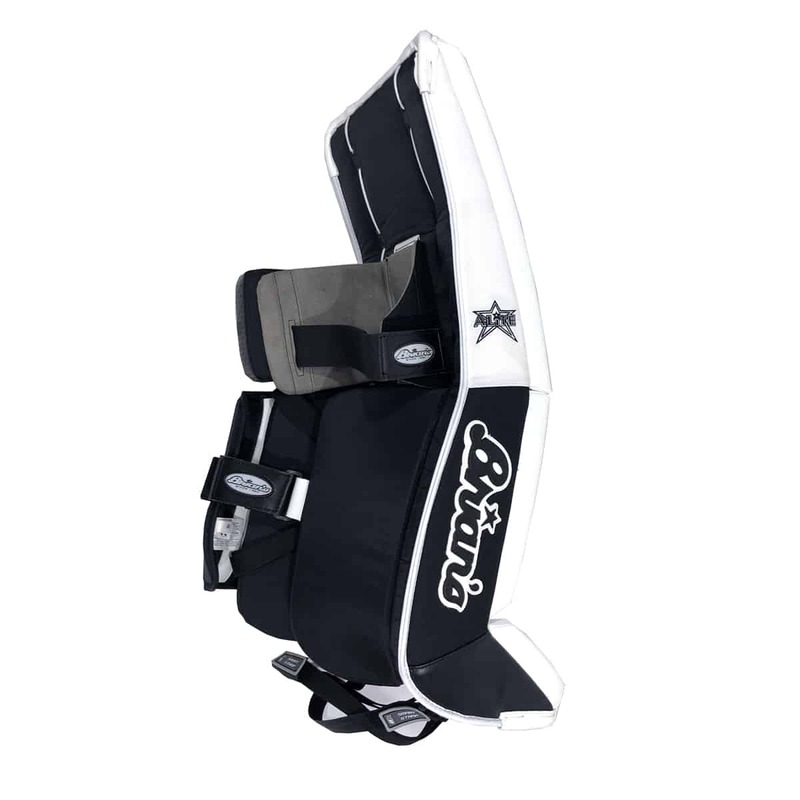 Again, these can be very difficult to notice. 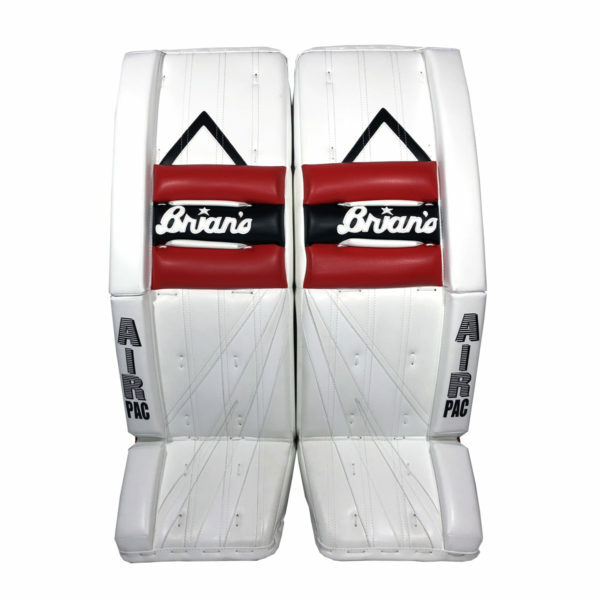 Pro goal leg pads can take more abuse than a mid-level pad. For every day use, we recommend a pro pad. The mid-level leg pad materials can take quite a but of abuse as well but these pads will break down faster if used to the same degree as a pro schedule.